From day one, Rado has turned visions into concrete realities. Pushing the boundaries of materials technology and continually introducing the unexpected to Swiss watchmaking, Rado has gone from strength to strength. In the words of the company's founder, "If we can imagine it, we can make it. And if we can make it, we will." 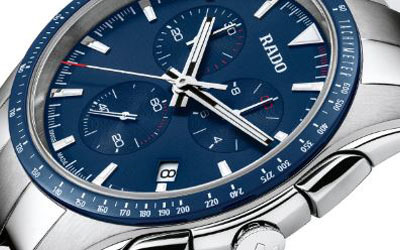 Rado always has, and always will stretch the limits of mind and matter to produce unique timepieces. Today, the seamless union of technology, materials and design continues to be fuelled by courage and commitment, as Rado continues to assert its mastery of materials to create beautiful and eye-catching watches that will stand the test of time. Rooted in a heritage of proven performance, Rado has its eye clearly focused on the future. 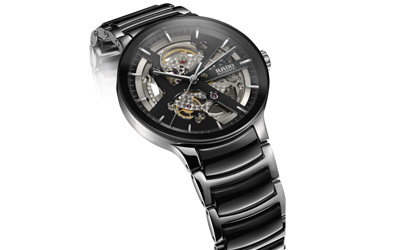 Rado gains its momentum from the power of research and innovation, audacity and intuition. Nothing gets in the way of Rado's mission to discover, invent and innovate. Rado is still undisputedly the Master of Materials. Reaching new summits of technical complexity, a monobloc case forms the entire structure of the timepiece. Contrasting parentheses protect and underlines its uniqueness. Revolutionary. 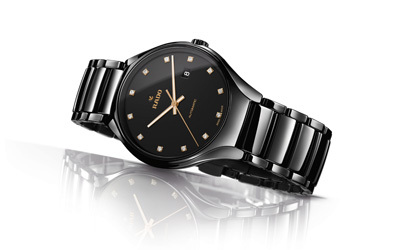 Introduced in 2006, the True was the first Rado to sport both shiny and matt high-tech ceramic, allowing for more daring, eye-catching designs. Today a monobloc case and new bracelet make the True the perfect every-day watch. Contemporary. The shape and style make this a watch to desire. The tapered, lightweight, flexible bracelet gently and sensually embraces the wrist, offering exquisite comfort and grace, as well as uncompromising luxury and sophistication. Classic. W. A. De Silva & Co. is an authorized retailer / distributor for Longines, Rado, Tissot, Balmain, CK, Swatch, and many more brands of watches & clocks in Sri Lanka. Logos and/or trademarks used here belong to their respective owners. Copyright © 2007 - 2018. All rights reserved.